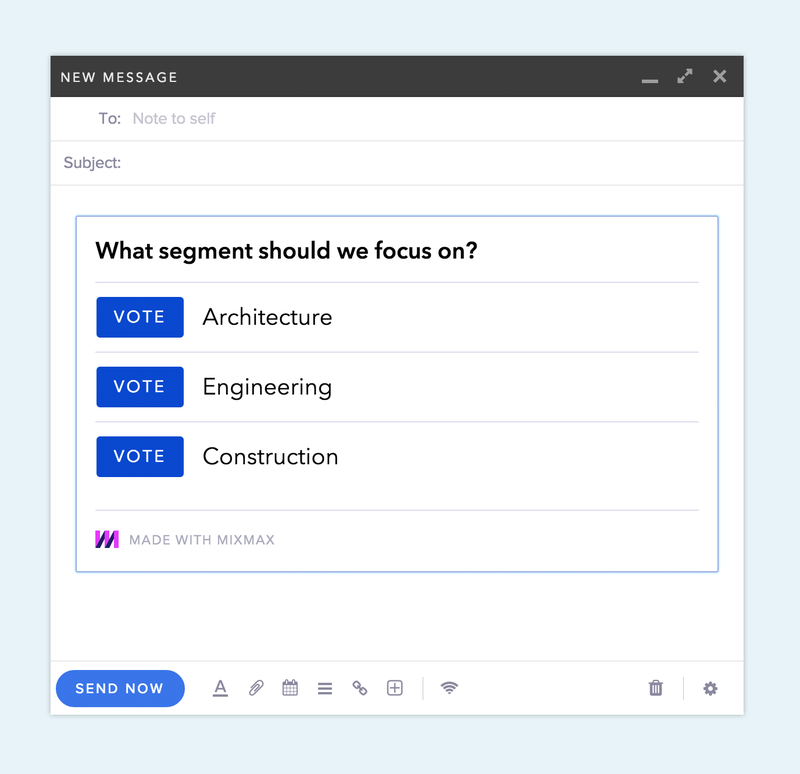 Mixmax Polls and Surveys make it easy to get quick, direct, and structured replies back from your recipients. 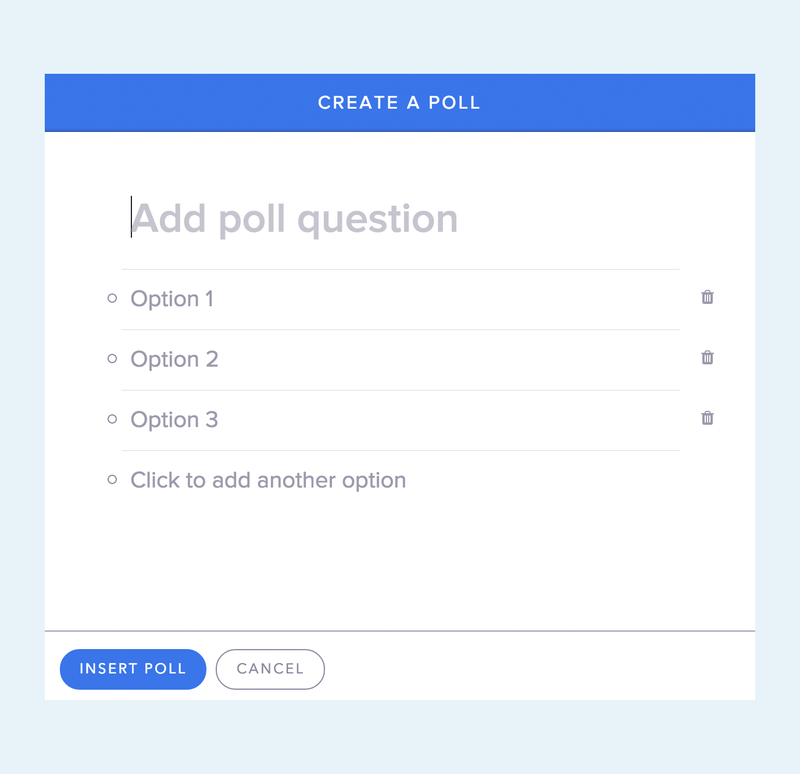 Polls enable you to ask a question and have the recipients pick one option among several. 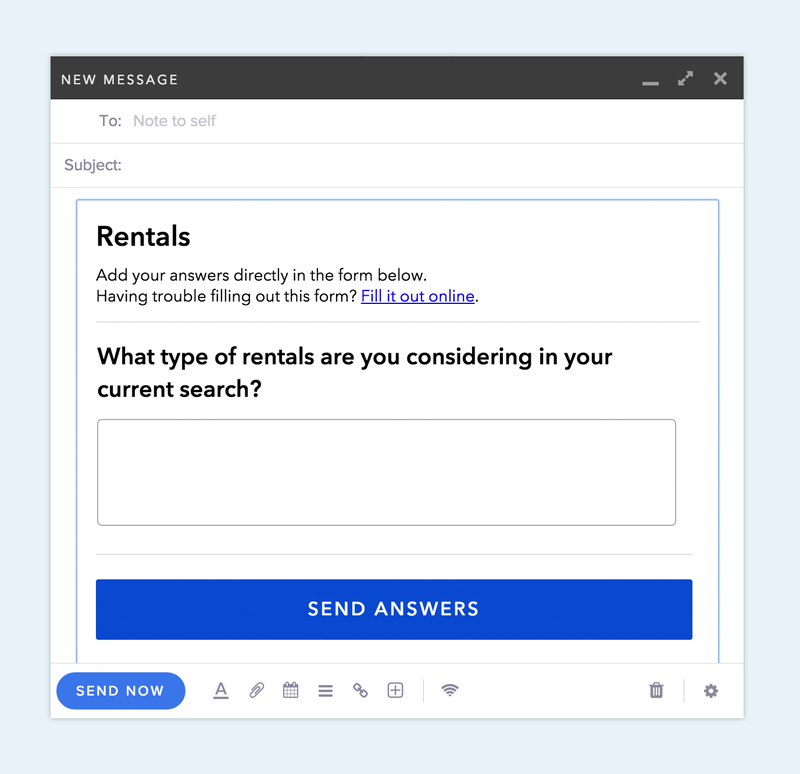 They’re great for quick answers to simple questions, because your recipients don’t need to write a reply. They just click a button, and their response is sent directly back to you. 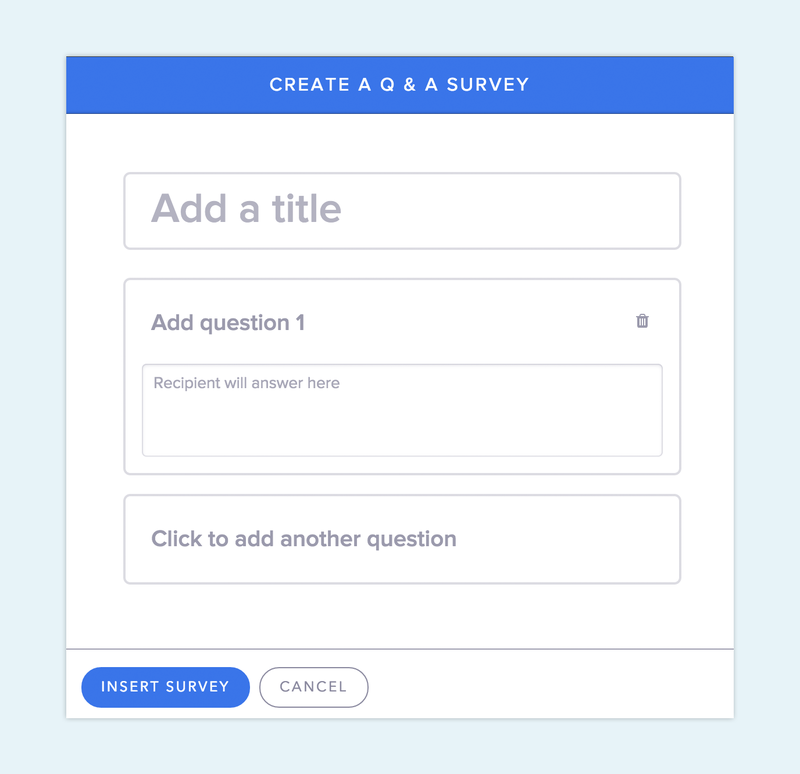 Q&A Surveys help you ask focused questions and make it easy for recipients to respond exactly to your questions using free-form text. When a recipient answers your survey, you receive the response immediately via email. They’re great for customer support, dealing with suppliers, or just getting straight answers. To add a Poll or a Q&A Survey, start by going to the + icon in the toolbar. You’ll see a menu of Mixmax Apps which can insert enhanced content into your message. In this menu, select Poll or Q&A Survey. 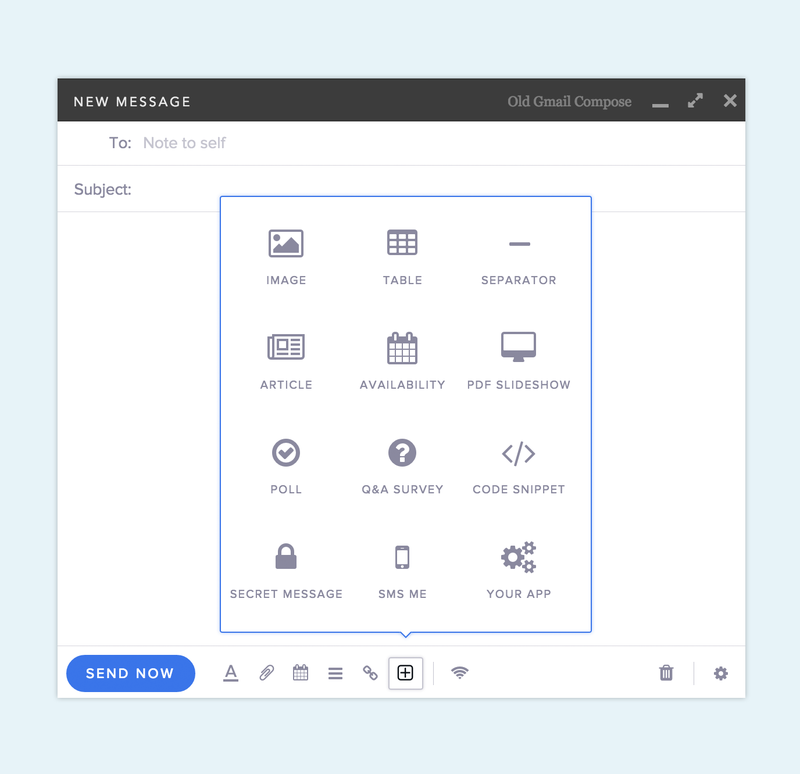 This will bring up a new window for you to add options for your poll or survey. Once you’re done, click Insert Poll or Insert Survey and it’ll appear right in your message. Your recipient will be able to vote on a poll and answer a survey directly in their email. If they happen to be on Outlook, we’ll provide a link to where they can complete the poll or survey on the web. When a recipient votes on your poll or fills out your survey, you’ll receive the response immediately via email. Install for free to try it out right now. 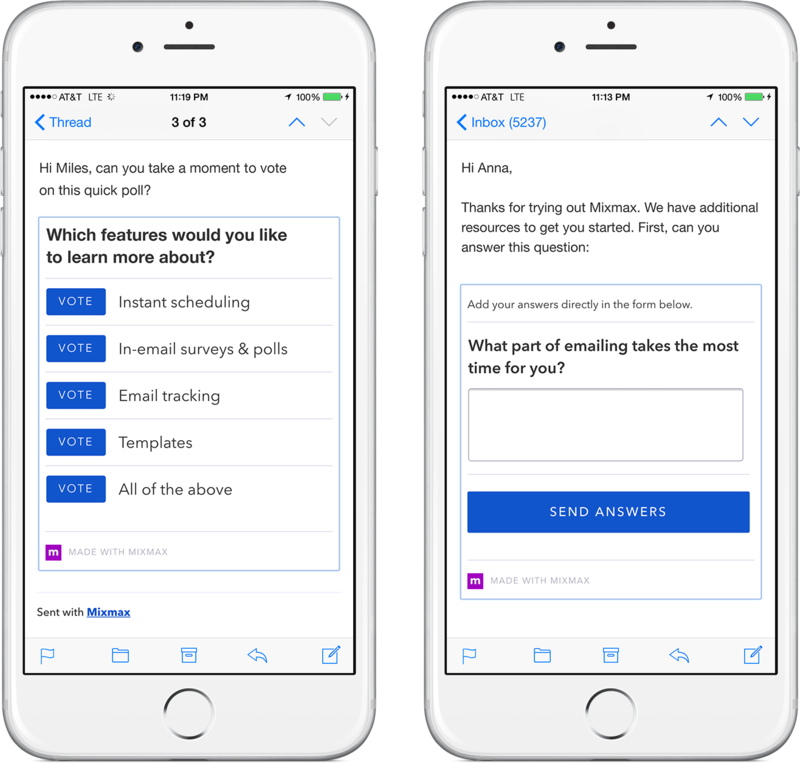 Polls & Surveys are another example of how Mixmax makes email more powerful for professionals. If you have thoughts on how we can boost your productivity or supercharge your email, we’d love to hear from you. Reach out to us at hello@mixmax.com and follow us @Mixmax.